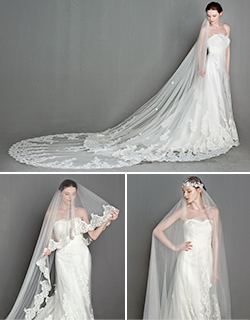 Summer, what a great season for weddings! It’s the season of sunsets, tropical blooms, fruity cocktails, and quality time spent seaside. 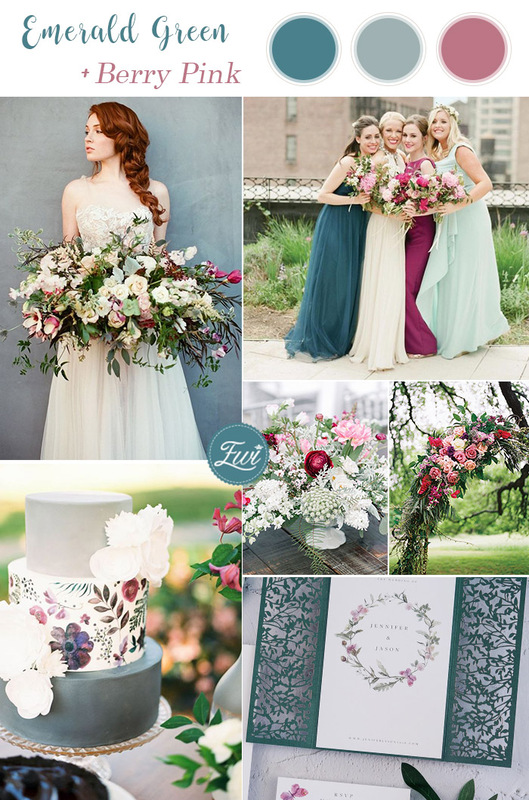 Looking for wedding color palette inspiration? We have created some of the most cheerful color combos for your summer wedding. Just take a look and get inspired by these awesome color ideas below. 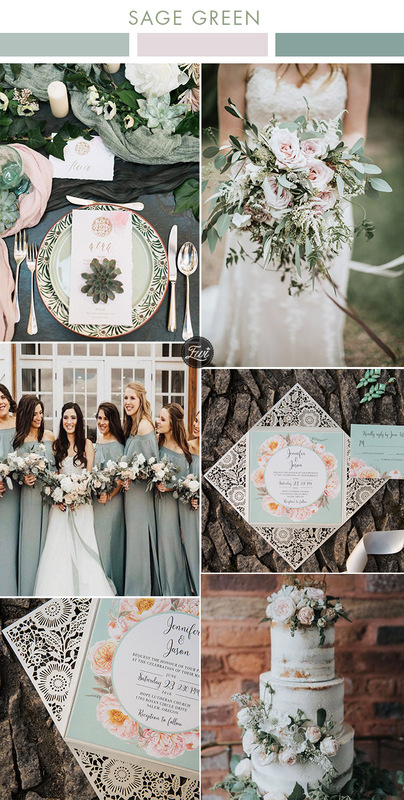 The biggest wedding color trends in 2019 are undoubtedly green shades, especially those organic and natural green colors such as sage greens, olive green and forest green, and other green colors that are rooted in mother nature. Brides will feel no difficulty in following these organic color trends, you may dress up your bridesmaids in muted green shades and have your wedding decoration decorated in greenery. To get you inspired, we have created 6 stunning green wedding color boards with matching invitations from Elegant Wedding Invites. Happy pinning! Something we have seen pop up this year in wedding invitations in particular is all sorts of glitter details. For brides who are planning for a glitter or glam wedding, sending out a gorgeous glitter inspired wedding invitation might be an ideal way to impress your guest. Browse our 10 best collections of laser cut wedding invitations enhanced by glitter and sparkle and we have even more beautiful glitter invitation designs to choose from to suit the style of your day. Pink is one of the most popular wedding colors that we all love and know well. The wedding color combining options with blush are endless and because of the romantic coloring, it will never be out of fashion. Today, we’re showing you seven pretty wedding color combinations that go well with blush! If you’re one of those ladies captivated by this color, you won’t want to miss these lovely wedding color ideas.Take a look! What is the trick for doing DIY wedding invitations yourself? 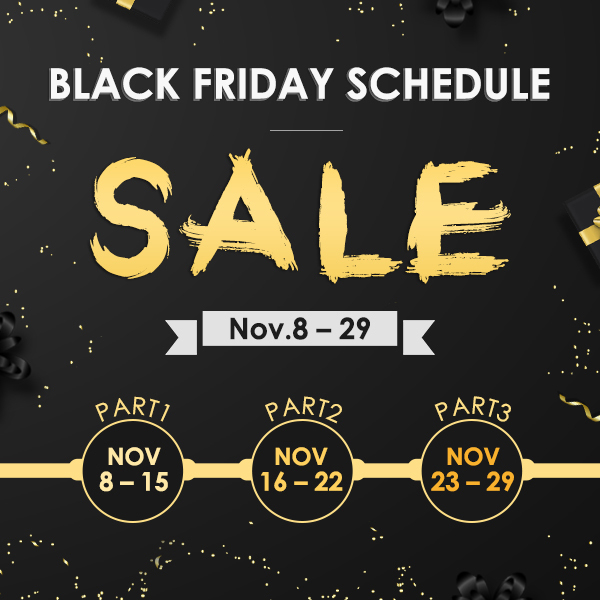 It is all about finding the right fonts besides the paper used.There are tons of free fonts out there on the Internet, but it is extremely time consuming to check all of them. Therefore bellow we have updated the list of 20 popular free fonts for all DIY brides with downloading links provided. Check immediately and happy downloading! Yes, it is time to start thinking about your wedding invitations since 2019 is right around the corner and a new round of wedding seasons are coming soon. In 2019, Brides might have the most options of wedding invitation ever in history,with all the different papers, textures, colors, fonts,embellishments and attachments, packages, all mixed and matched, but paired so cohesively. If you are stuck for inspiration, keep scrolling to see the hottest wedding invitation trends in 2019 or explore our 2019 wedding invitation designs here. Instead of being overall glittery, a litter glitter to wedding decoration can go a long way in giving your wedding a glamorous touch that’s still grown up. From your table linens to your bridesmaids’ dresses, from the cake topper to the wedding invitation, we’re sharing some amazing ideas to add sparkle to your wedding party without sacrificing an ounce of sophistication or style. Take a look! If you love keeping an eye on the latest wedding trends, you will realize that Industrial style is one of the hottest trends now. More and more couples are emabrcing industrial wedding venues, like an abandoned warehouse with bare concrete walls , an old-fashioned factory with metal piping or an empty loft space. We’ve got some awesome industrial chic wedding ideas to inspire. Take a look. No, we haven’t finished yet with the top 10 wedding colors trends for 2019. 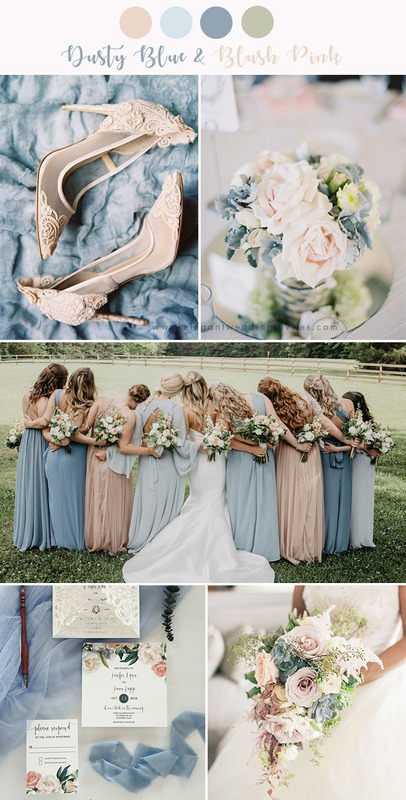 There are too many stunning colors but we select only the best 10 for you together with some perfect color pairing ideas…In blog part one, we had already listed top 6 amazing wedding colors for brides to try in their big days, and today let’s continue with the rest 4 awesome colors. Scroll on and get more inspiration. Happy pinning always!!! Shades of purple has been a trend we started seeing towards the end of 2018 and we only expect this to get bigger for 2019. This color combination is probably the easiest to work with because you don’t have to pick one shade. In fact, it actually works better with the more colors you choose. All types of floral are abundant in purple tones and the same thing for clothing, so you will not be limited on options.